The route from Turkey across the Mediterranean and into Europe has been a perilous one for thousands of refugees fleeing the violence in Syria, but European authorities say one terrorist hidden among the innocents on a packed Greece-bound boat in early October was determined to bring the bloodshed with him -- all the way to Paris. A slide from a Greek government presentation shows a suspected Paris attacker's potential routes through Europe. 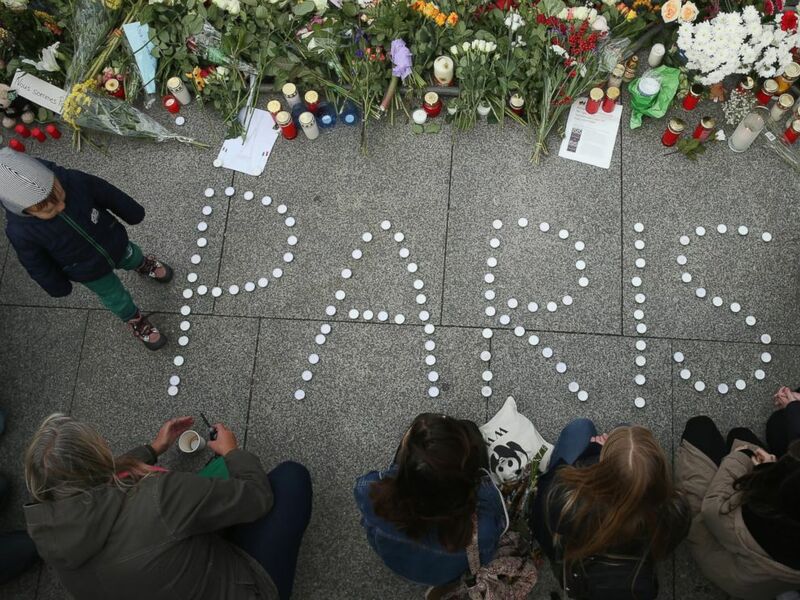 People finish arranging candles into the word "Paris" next to flowers and messages left at the gate of the French Embassy following the recent terror attacks in Paris, Nov. 14, 2015 in Berlin.